“James and I go way back and he is someone who has always believed in and supported me so it’s truly an honour and a pleasure to get to work with him on this campaign,” Gabriel comments. Happy Father’s Day: A Tragedy, co-produced by Limbico Entertainment and approved by both SAG and ACTRA, is the story of a loving father who nearly dies trying to prevent his serial killer son from harming another living soul. The film is currently in pre-production and set to release in 2018. John Billingsly is the film’s lead actor playing the role of the father, Earl Timmins. Billingsly is known for his roles on Out of Time with Denzel Washington and Star Trek: Enterprise as well as The Good Wife, Hawaii Five-0, Bones, Suits, NCIS, CSI and Grey’s Anatomy to name a few. Russell was trained in film, writing, production and directing at UCLA Film School, Canadian Film Centre and York University Film School. His previous projects include The Polished Hoe, Buffalo Blacque and Cut It Out! MANKS Productions Inc. is a film, television and new media company. We create great stories, well told. Are You Down With O.P.P. : Other People’s Passions? 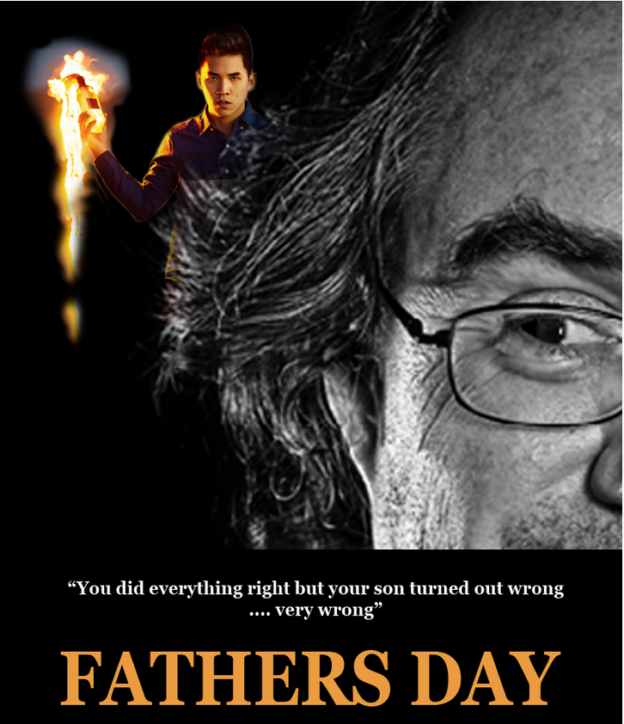 Good luck to the fundraising campaign for Father’s Day – the Movie. And I wish it the success it deserves. I trust they producer knows there are already two films under that name, one with Robert De Niro and Billy Crystal. The other I hope it is enjoyable because I am not at all sure the premise will further the discourse on parenting.